As much as we love our home base in Darwin we have to say as soon as we step back onboard Katherine we feel like we are home. 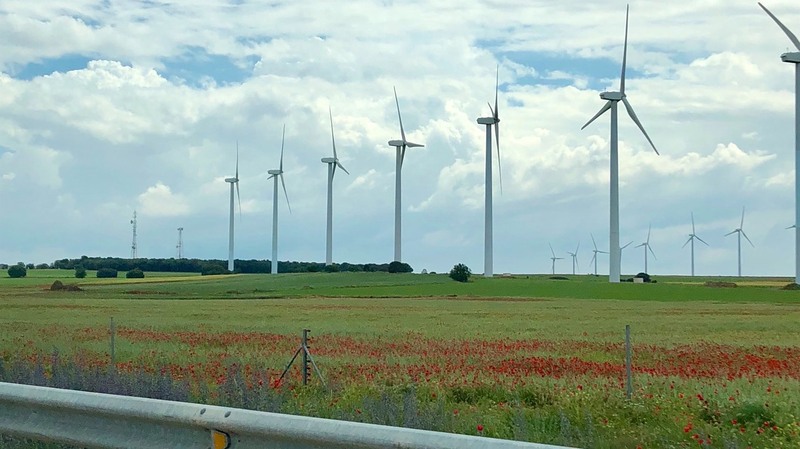 We arrived back onboard late on the evening of Monday 28th May after a long flight, then five hour drive from Madrid that is becoming very familiar. In all of our drives to and from Madrid we have never seen this area so green. 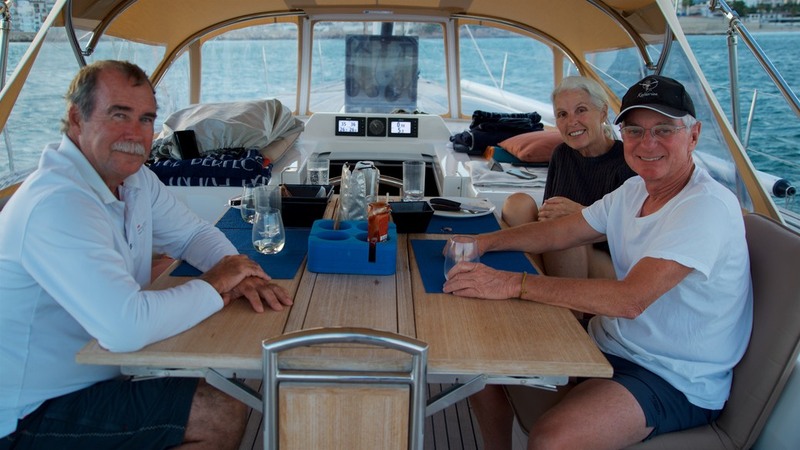 It certainly felt like coming home being greeted by Bernard, Beate and Alex who had so carefully looked after Katherine during her winter sojourn, that added to the fact that Maggie and Alan our neighbouring boat had not moved on. 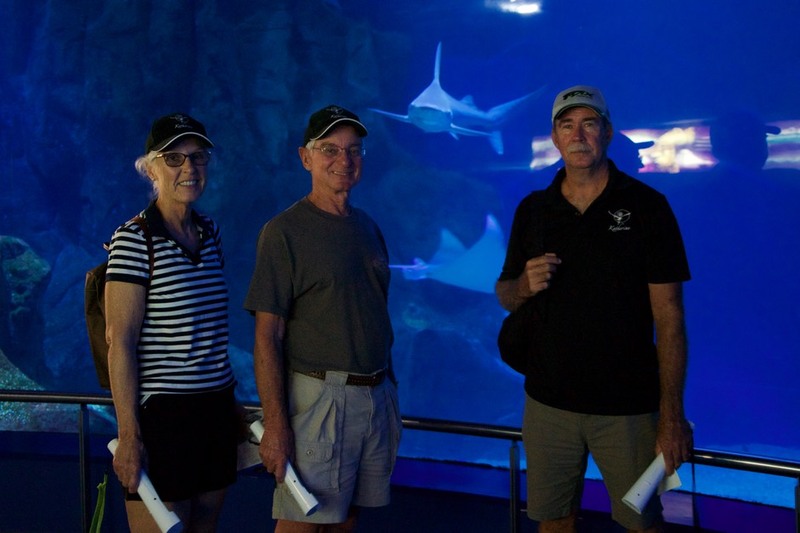 Normally we would have a few weeks before our first visitors arrived but given that we had changed our return date several times Jim and Cathy from Texas found themselves coming onboard on just our second night. 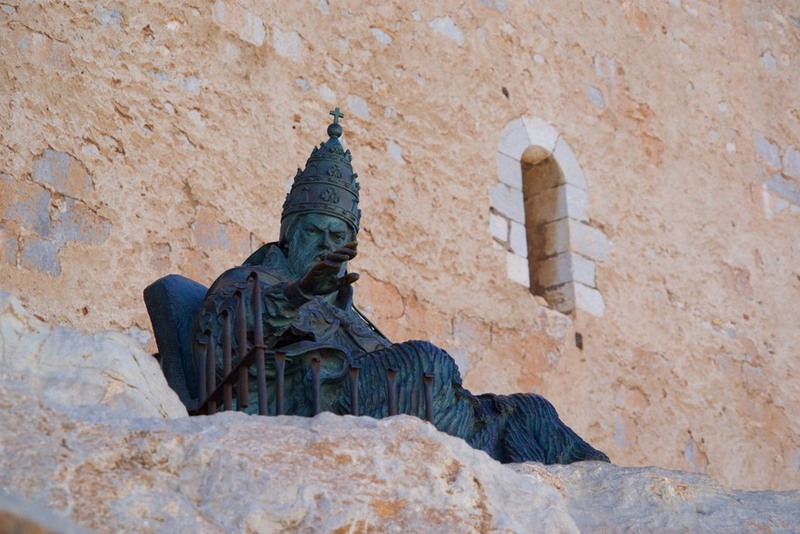 As we prepared Katherine for sailing, running our lines and refitting our sails, Cathy and Jim took the opportunity to explore Cartagena - still one of our favourite cities in Spain. 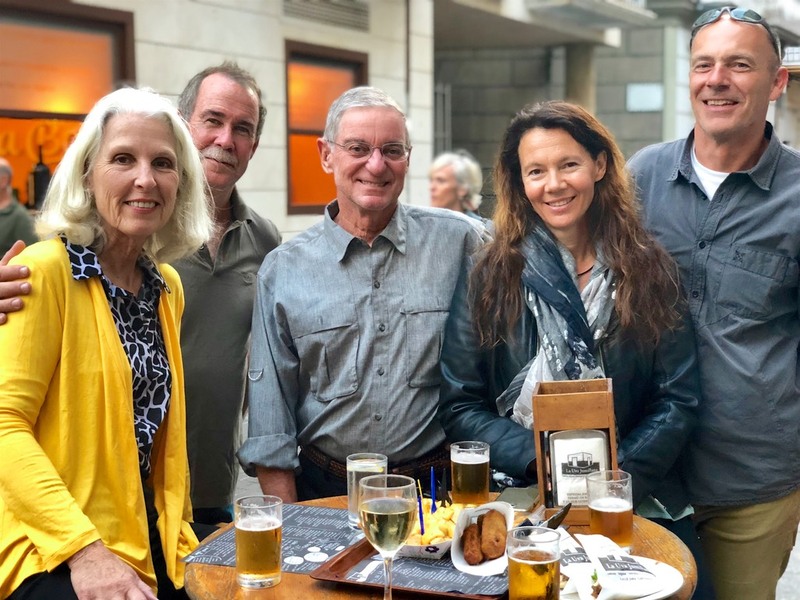 We were happy that we were able to share a few nights in the company of Beate, Bernard and Alex before we all headed in different directions for the sailing season. The destination for Jim and Cathy's time on board was north to Barcelona. 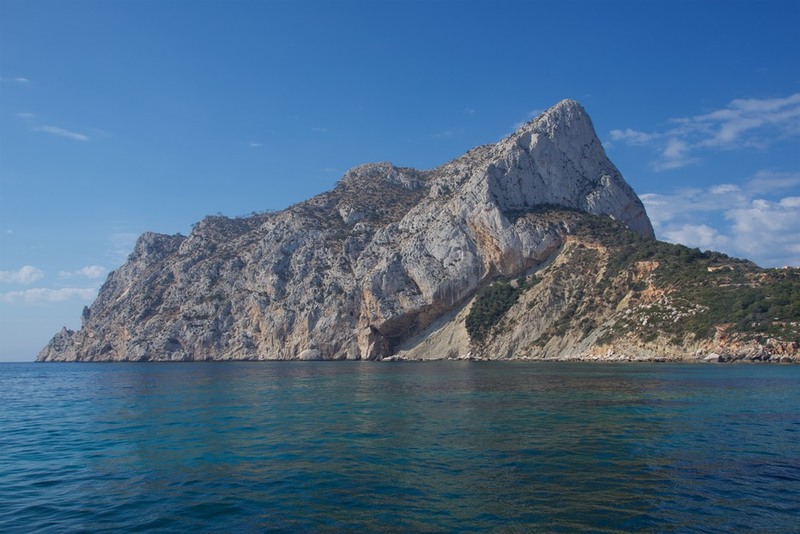 First night on anchor was at Calp with the imposing limestone rock Penyal d’lfac as our backdrop. This was the first time that we had anchored in the Northern Bay and ventured ashore to the town that was surrounded by white sand beaches and architecturally lacking apartment blocks and hotels. Jim and Lee took on the challenge of the 332m rock on the second day in the bay. Accessed by a tunnel built in 1918 on the NW side the description in our pilot guide advised that the traversing of the “Perilous Pathway to the top” afforded spectacular views of the Costa Blanca coastline with its “uncontrolled nature of high-rise.” The description seemed very apt on several occasions during our assent and descent. 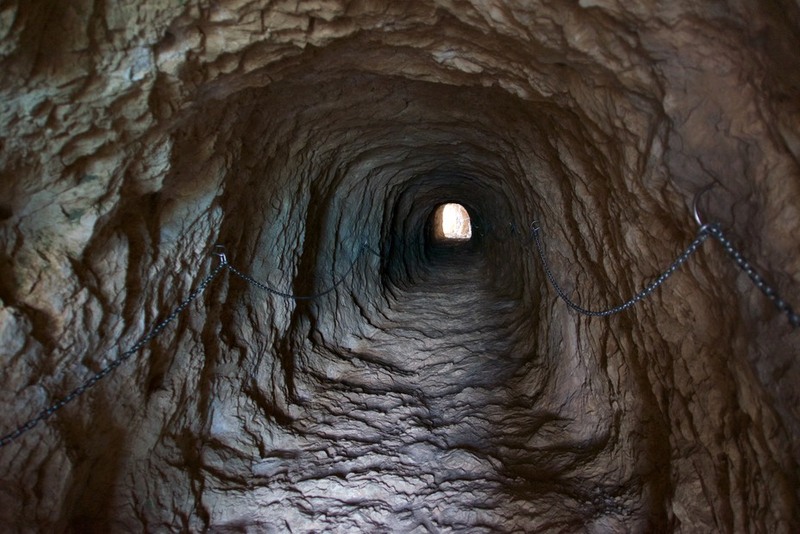 The first being within the tunnel where you found yourself plunged into almost darkness midway whilst clinging to the chain along the rock wall to assist in keeping yourself from sliding on the rock floor polished over time by traversing feet. The closer one got to the top the pathway disappeared and became a rock hopping exercise to clambering over boulders with the assistance of chains. 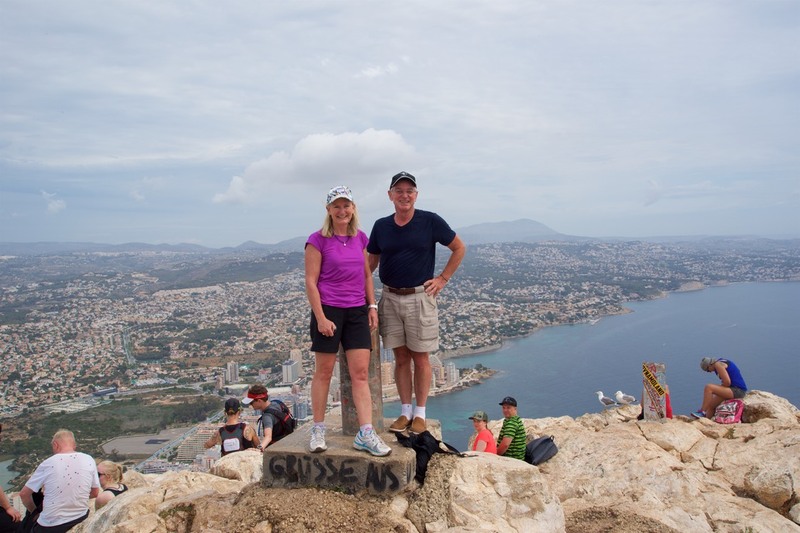 The effort was certainly rewarded at the top with a great view and later with a Paella for lunch in a local cafe on the foreshore. Enjoying the view before contemplating the decent! 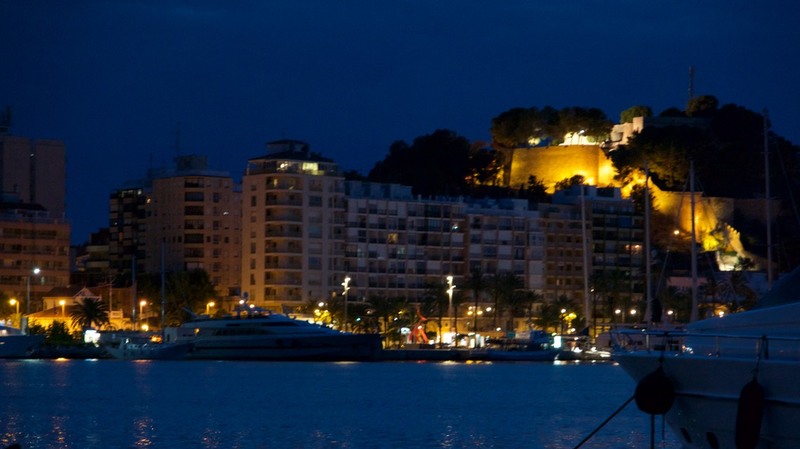 After two nights in a picturesque but rolly anchorage we were happy to move the short distance of 20 miles onto the town of Denia and its secure marina. 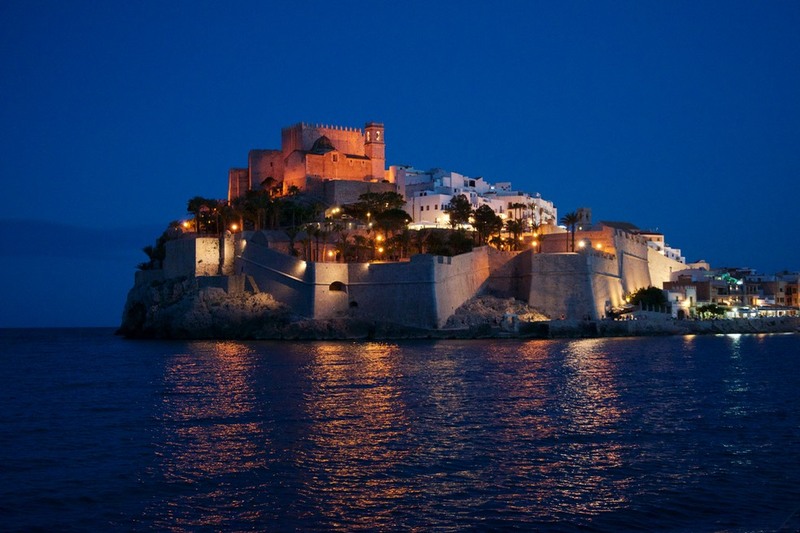 At night the palm trees in the harbour were lit up as was the castle perched high on the hill overlooking the marina. 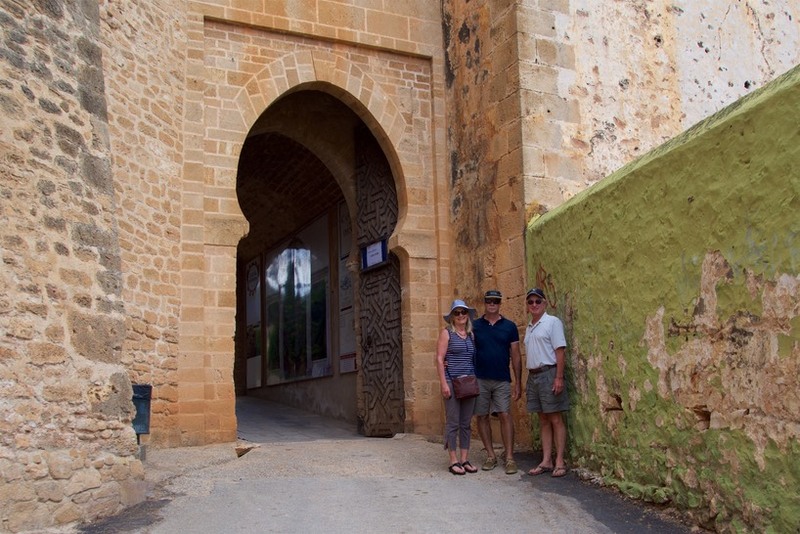 We spent Wednesday 6th June walking the tree lined streets of Denia and exploring the ruins of the castle grounds. 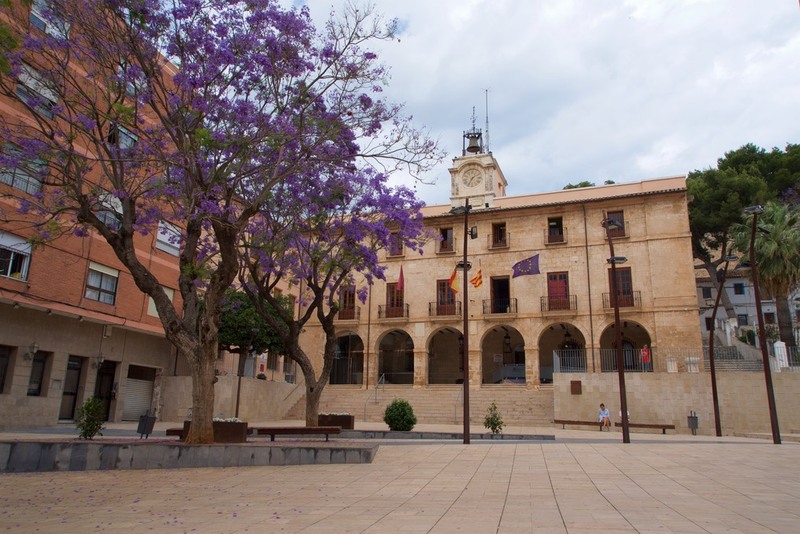 The castle itself had sustained damaged during successive wars but the impressive city gate, remnants of tiling from the 16th Century Palace of the Marquis of Denia and the terraced embankments which were dedicated to raisin cultivation in the 19th century still remain. 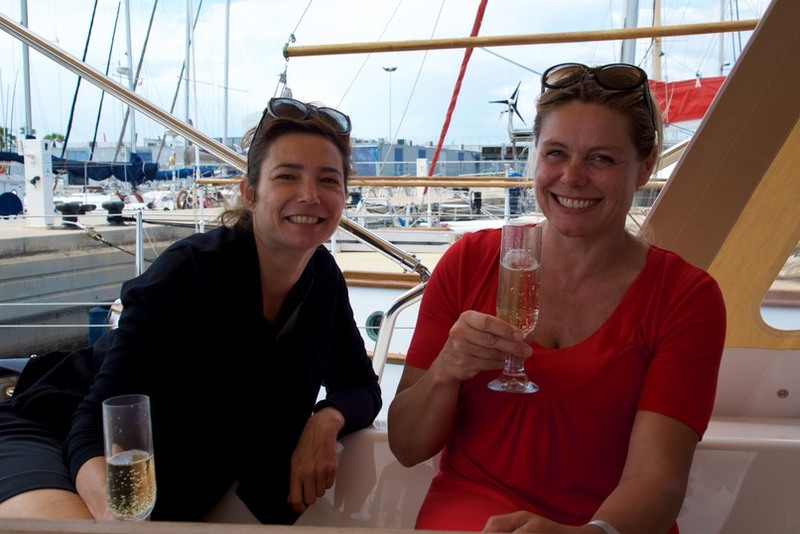 On Thursday 7th June we headed to Valencia where we found ourselves in almost the exact same position that we had berthed 12 months ago, when we first visited with Katherine. After dealing with the unexpected challenge of a beam on blow just for the time we were trying to secure the boat we were greeted by a familiar “Hello”. We were delighted to see Christine Colaris from The Netherlands waving from the marina fence line. Well of course a champagne was automatically in order. With only half a day in Valencia it was difficult to show Jim and Cathy everything there is to appreciate about Valencia but in the end we opted for the Aquarium and a stroll in the old town. 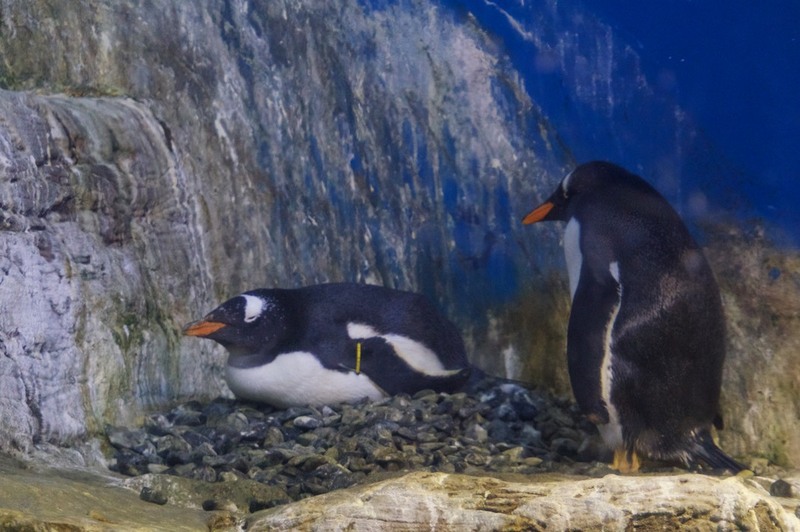 We had last visited the Aquarium around 10 years ago and it was as good now as we recalled it to be then. 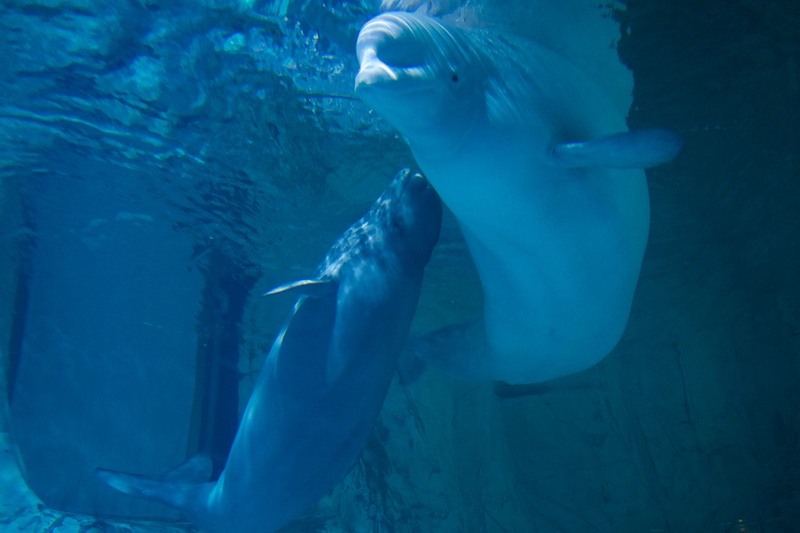 Certainly a highlight was the Arctic display with its playful Beluga calf and the Gentoo Penguins that were nesting. The taxi ride to and from the marina at least gave them a passing view of some of the amazing buildings along the old river. Before we knew it the morning in Valencia had flown by and it was time for us to head to the airport. We were off to The Netherlands for the weekend. 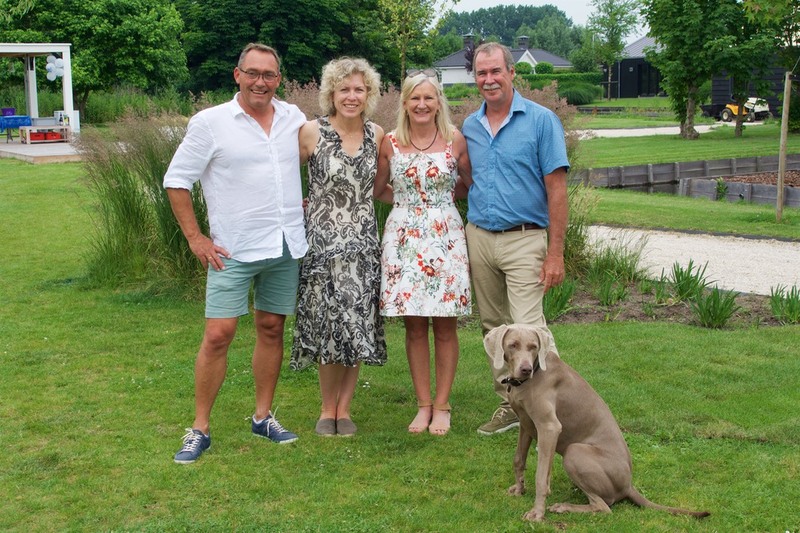 Andrew and Lee were to visit Alsmeer to join in the celebration of Berend and Kirsten’s 50th Birthday. 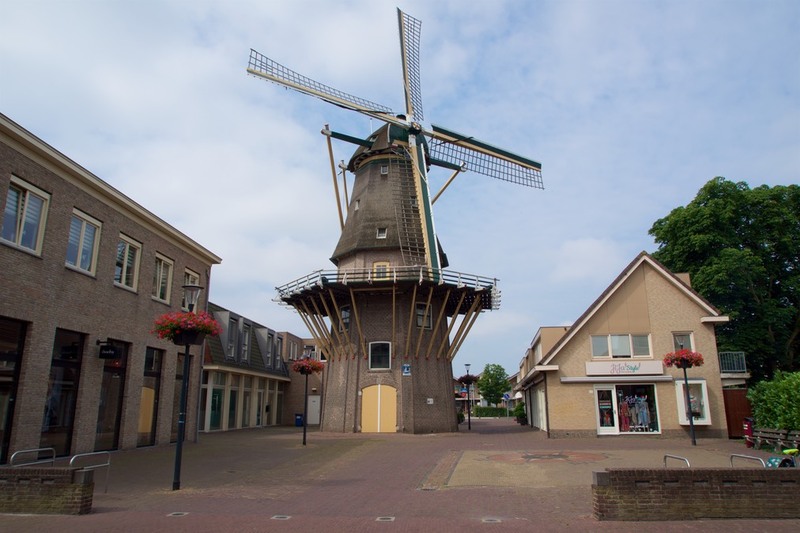 Jim and Cathy took the option to spend the weekend in Amsterdam and explore both the old town and take a tour further afield to Delft, The Hague and of course Windmills. 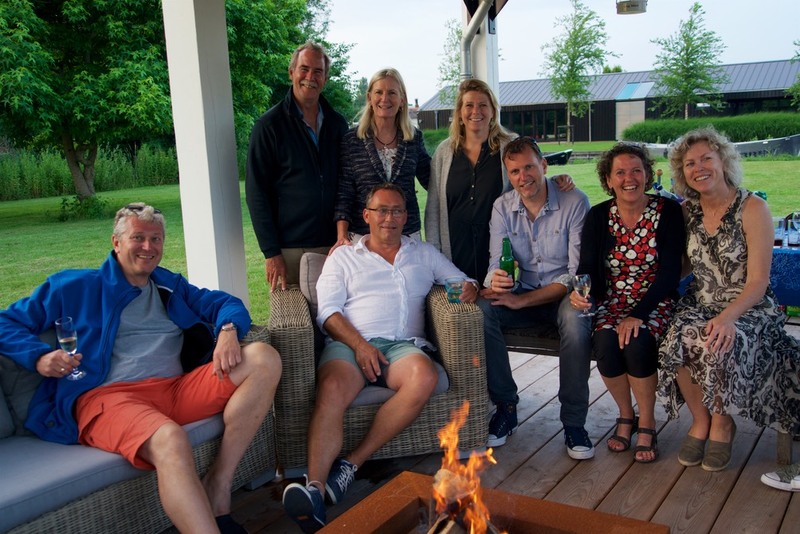 It was great to spend time with Berend Kirsten and all of the family that we have come to know over the last six years of sailing. An added bonus was to catch up with Elly and Marcel and to enjoy his delicious cooking of mussels. Peter De Graaf and Annilese were also there. We met Peter first when he and Marcel crossed the Atlantic in 2012 with Berend. So nice after all these years to be still in contact with such great people. And of course one can’t go to The Netherlands without taking a photo of at least one Windmill. Continuing north after our weekend away we anchored in the bay with the impressive castle of Papa Luna overlooking us from the town of Peniscola. Ashore the high-rise was once more out of control as the area accommodates the 1000’s that flock to this coastline for a piece of beach and a lot of sun. We spent Tuesday morning walking the grounds of the well presented castle that was apparently the last castle to be built by the Order of the Temple from 1294 - 1307. 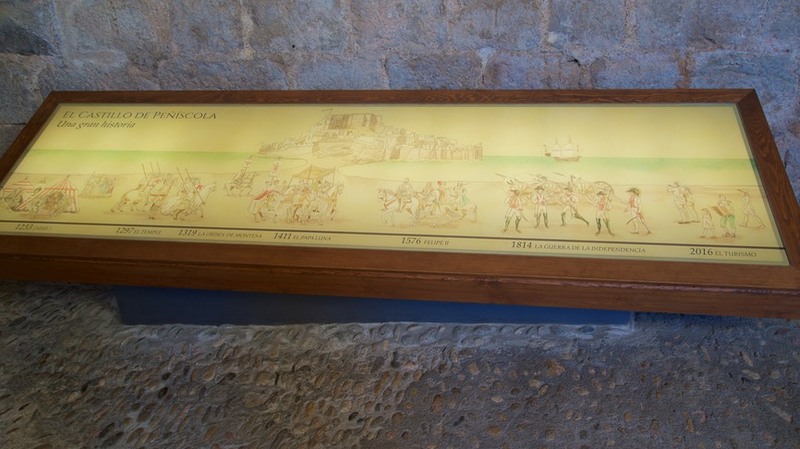 In 1411 Pope Benedict XIII, Papa Luna, declared the castle to be his pontifical seat and he would live here fighting his right to hold that role until his death in 1423. There was no doubt that a whole day could be lost wondering the streets of the old town area but the rolly anchorage that we had endured the night before was becoming even more so making good reason to vacate and head for our next anchorage. Expecting a small blow during the night we decided to head for Golf De La Ampolia. Tucked up in the corner of the bay we felt we would be more protected from any wind that may come in during the evening. Well happy we were that we did as the wind blew to 55knots, thats an equivalent to a tropical storm or Cat 1 Cyclone verging on a 2. Good holding mud meant we stayed put but we were certainly happy when by morning it had at least dropped to 30 knots. Everything is relative. 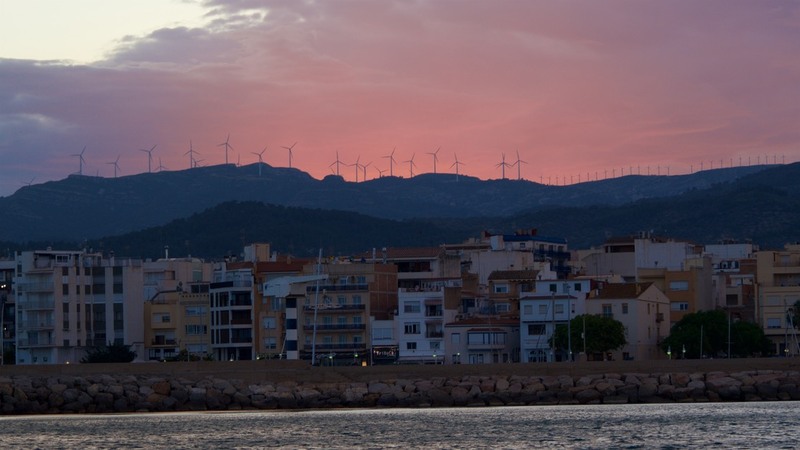 We also now have an appreciation for why the Wind turbines may be placed on the surrounding hills. Plenty of wind to keep them generating. 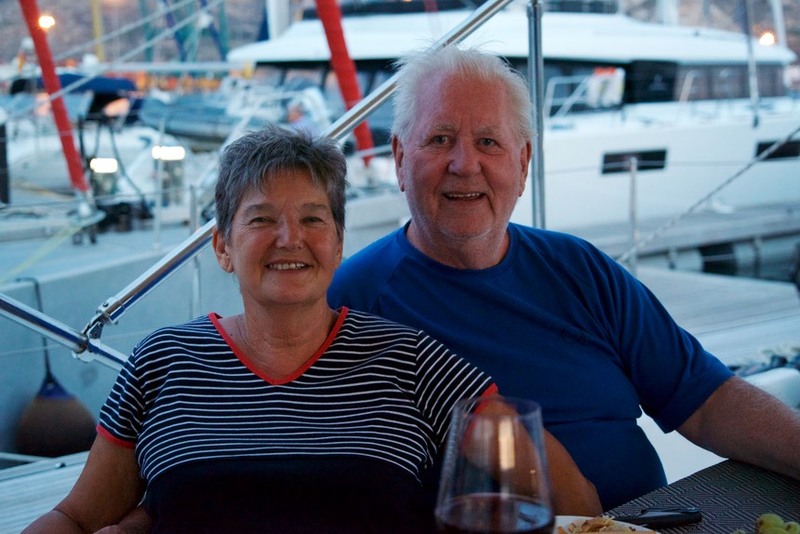 Our final day of sailing with Jim and Cathy was onto Barcelona - Port Forum. 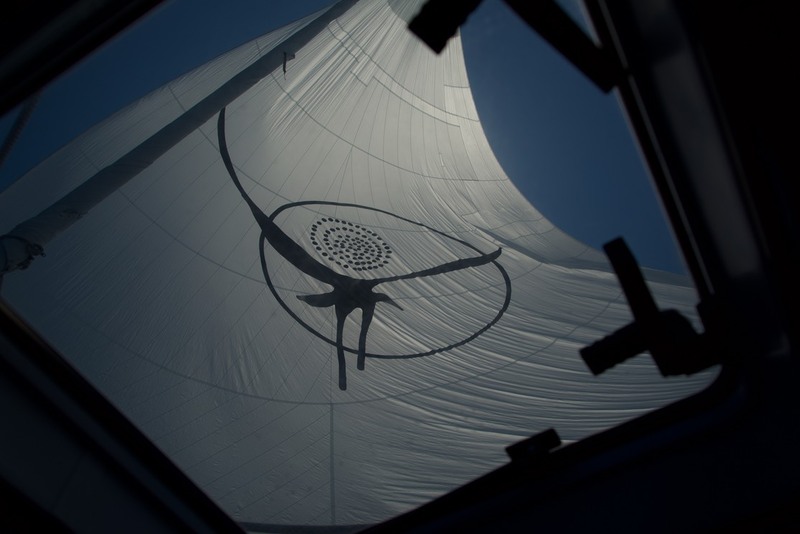 As always winds changed and we were pleased that we were able to unfurl our Big Bird sail for a short while on their last leg. Though the sailing was over for Jim and Cathy our time together was to continue on land. We were awaiting the arrival of Barry and Kim from Louisiana to hit the road together for a few days appreciating Northern Spain.